Pauly and Benjo are on site in the Amazon room to discuss what really may or may not have gone down on Day 1d. It wasn’t pretty, but at the same time, kinda a beautiful thing, no? On to Day 2a (and 2b), where the real carnage begins. 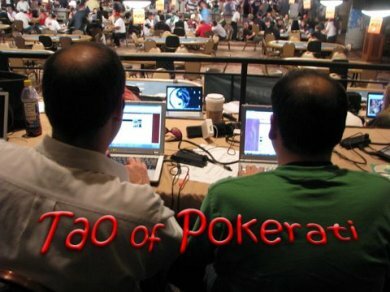 Eric “basebaldy” Baldwin a member of the 2005 NCAA Division III University of Wisconsin-Whitewater baseball team, took down the $2,000 NL Holdem event early Friday morning, besting Dane Jonas Klausen in heads-up play to take home over $520,000 in winnings and his first career bracelet. Baldwin picks up his second major tournament victory of the year, he won the $2,500 NL Holdem main event at the Venetian Deep Stacks Extravaganza II in April. Corwin Cole is the chip leader at 185,700 when day 2 of the $2,000 NL Holdem event resumes at 2pm today with 213 players remaining, 171 making the money. 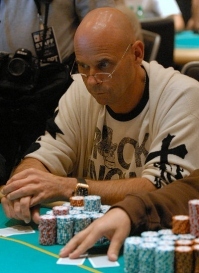 Other notables returning include: Dustin Dirksen (145,000), Shaun Deeb (88,500), Chino Rheem (74,600), Rob Hollink (53,500), and Eugene Todd (48,500). Tuan Le is the reported chip leader of the $10,000 Stud 8 or Better World Championship when play resumes at 2pm today with 110 players remaining, 16 getting paid. Le has 234,000, with Los Angeles Lakers CEO Frank Mariani in second place with 111,300. Tom Schneider is among the returnees with 83,300, good for 8th place. Dario Minieri (81,500), Nick Schulman (73,000), Jerry Buss (67,800), David Benyamine (65,400), and Mike Sexton (53,400) are some of the other notables hoping to play on Saturday’s final table. Only one tournament kicks off today, the $2,000 Limit Holdem event, which was won last year by Daniel Negreanu in a field of 479, good for just over $200,000. The WSOP Staff Guide projection for this event is 480, but don’t be surprised if just over 500 take to the felt today.